Following LINE Pay release last December, LINE has announced the launch of LINE@ globally (except China). Prior to the launch, LINE@ has been officially available in Japan and Taiwan, and released to selected beta users in Malaysia. 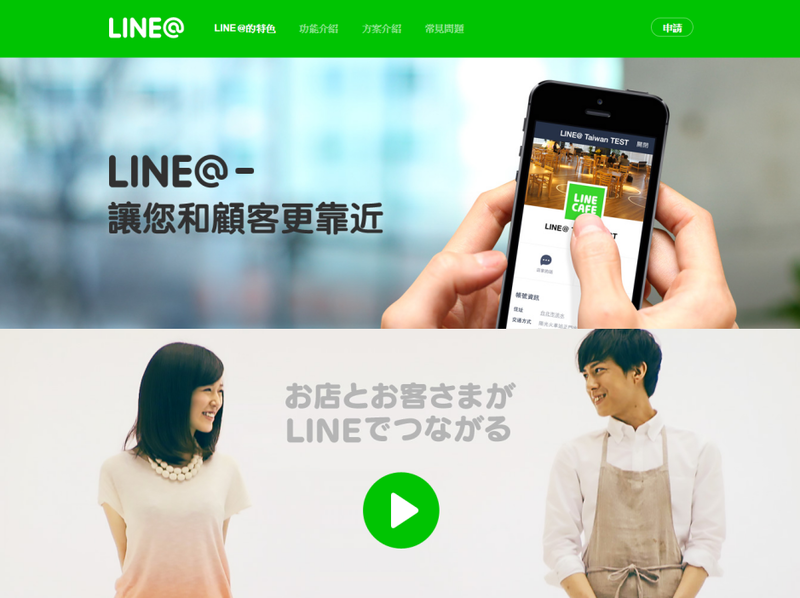 Following LINE Pay release last December, LINE has announced the launch of LINE@ globally (except China). Prior to the launch, LINE@ has been officially available in Japan and Taiwan, and released to selected beta users in Malaysia (we are lucky to be one of them). In short, LINE@ is a marketing and communication tool for small & medium business, local business. 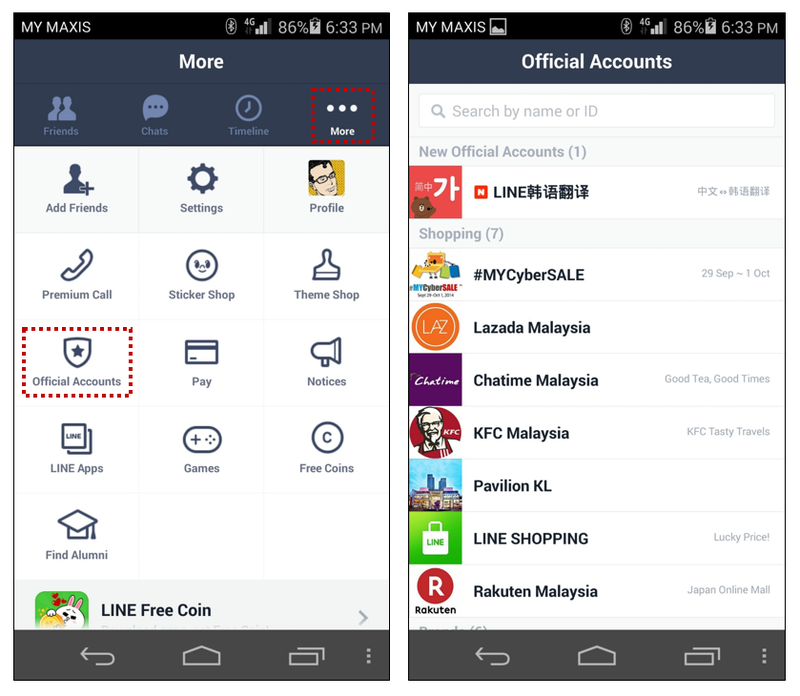 Most of you might be aware of LINE Official Account which shares similar core features with LINE@ but it is only available to bigger brands. One of the distinct differences between LINE Official Account vs LINE@ is your brand will appear publicly in the list (see visual below) which facilitates LINE Official Accounts to acquire substantial followers organically. That means with LINE@ account, you need to grow your own friends (followers) by your own. What's new in LINE@ Mobile App? 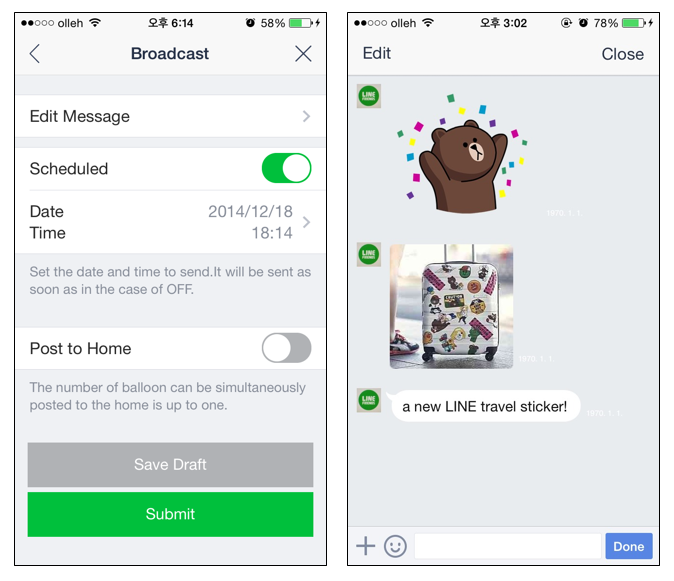 Even though LINE@ has been available previously in Japan, Taiwan and beta in countries like Malaysia, LINE has introduced LINE@ Mobile App for the first time ever in this global launch. With LINE@ Mobile App, administrators can use the mobile CMS to their convenience in terms of managing marketing campaigns and private messages from the customers. 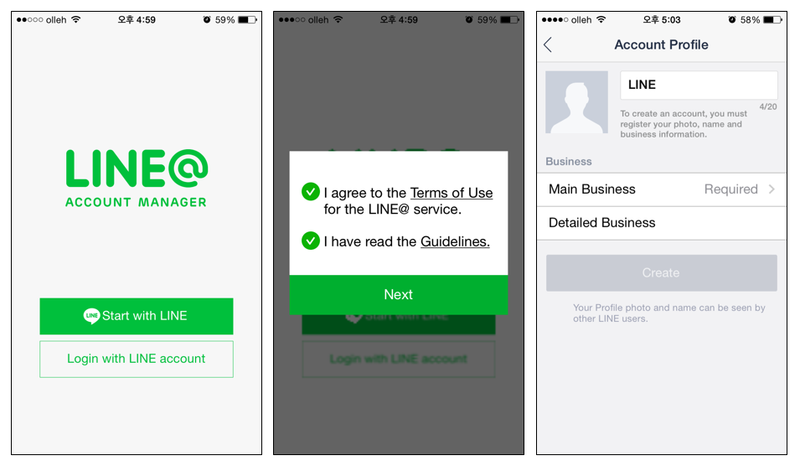 You can just easily register your business using LINE@ Mobile App, and multiple accounts are available too if you need sub-business accounts or simply, registering your individual branches. As witnessed in LINE Shopping, #MYCyberSALE LINE campaign, and campaign by brands like Chatime, McDonald's etc, LINE is a proven media for mobile campaigns especially on flash sale or acquisition campaigns. Just imagine this as a tool that brings you instantaneous reach and traffic, without going through the hassle of group-buying deals. You can also run creative, interactive campaigns using "keywords reply" feature to reward users with coupon or prizes. For local business, you can even arrange in such a way that blasting time-specific offers for a specific branch (via sub-account). All this made easier by managing the blast via LINE@ Mobile App without using the web CMS. If you are running online business in particular this part of the world, "PM culture" shouldn't be something new to you, as some users prefer using "PM" (private message) to understand more about your offerings or simply, asking for your best price. This can be done in ease with LINE@ Mobile App, as users and 1-to-1 chat messages are sorted nicely and you don't need a PC to reply them. 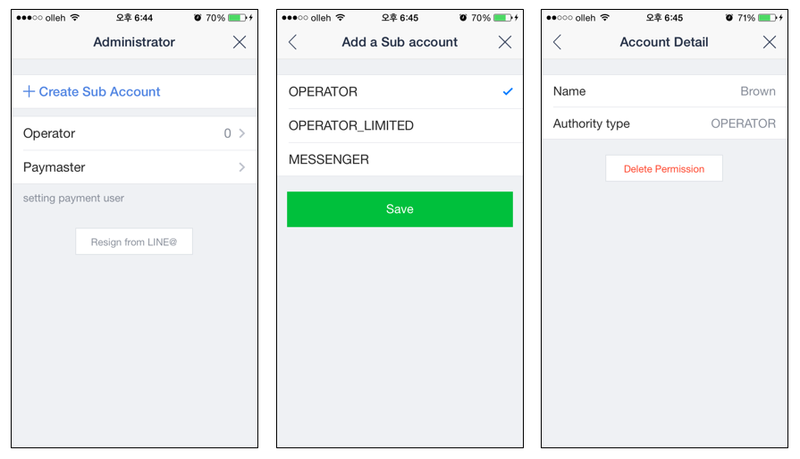 The best thing is you can add admin or operators to your LINE@ account to manage the private messages and save yourself opportunity cost. 1-to-1 chat messages could be useful for local business too, for example customers can communicate with a hair salon to make reservations. Besides the two major features explained above, LINE@ also offers other features like Home, which you can publish content to engage with your audience. As opposed to Broadcast message (1-way), Home post contents (via Timeline) allow engagement (2-ways) as users can like and comment on your contents. Engagement on content posted on LINE is relatively higher, as compared to other platform like Facebook. 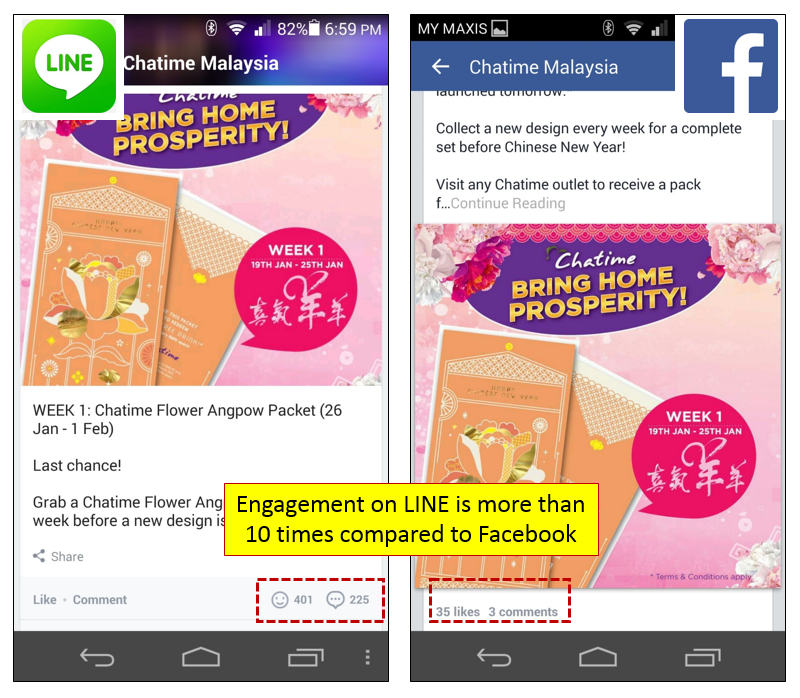 You can see from the example below, as Chatime gathers more than 10 times of engagement (likes, comments) on LINE compared to Facebook with similar content. Similar with public LINE Official Account, LINE@ also provides you the survey tool to understand your audience more. Alternatively, you can use the survey tool to run contests too. How to grow your LINE@ friends? Basically you can use the QR Code or Add Friends button provided and place it on your existing communication channels, like POSM, website, email newsletter etc. More importantly, actively run campaigns on your LINE@ account to acquire followers, we will share more tips on this in the near future. Meanwhile, just take a look at popular LINE@ accounts in Japan for your reference. 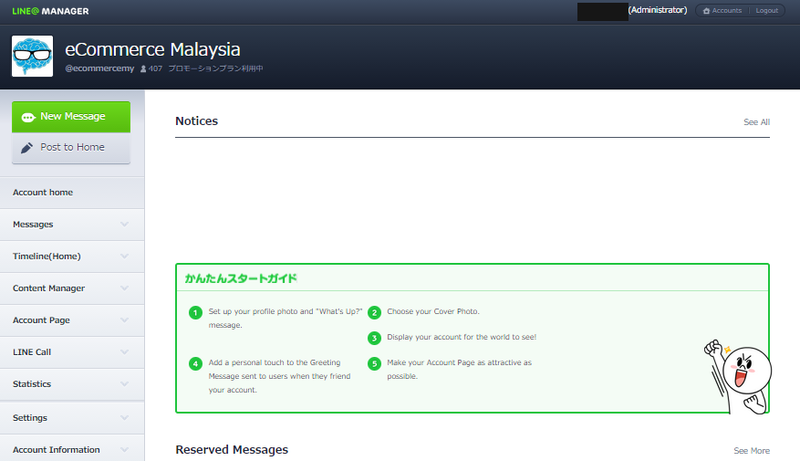 How to apply for LINE@ account? Just search for "lineat" on Apple Apple Store or Google Play, download the mobile app and you can proceed with the self-service registration using the app. Do take note that free LINE@ account comes with random ID as your account ID, for example "@ABC1234D" rather than "@yourbrand" which is available only for premium ID. Visit official LINE@ site for price plan details.